Come join us at a public talk by internationally renowned Human Rights Defender from Gaza, Raji Sourani. 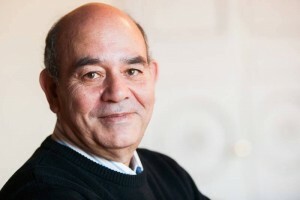 Director of Trócaire’s partner organisation in Gaza, the Palestinian Centre for Human Rights, Raji Sourani is an award-winning human rights lawyer from Gaza, and has been defending human rights through legal means since 1977. He has served over 4 years in Israeli prison for his work, and has been tortured while in detention. He is a passionate and unreserved critic of human rights violations occurring on both sides of the Israeli-Palestinian conflict. He was an Amnesty International prisoner of conscience in 1985 and 1988, was a recipient of the Robert F Kennedy Human Rights Award in 1991, and in 2013 was co-awarded the Right Livelihood Award, sometimes referred to as the ‘alternative Nobel peace prize’. Raji will give a first-hand account of the current situation in Gaza, where reconstruction has not yet begun over 12 months since the end of the 2014 conflict, and will argue for the need for accountability for violations of international law in the Israeli-Palestinian conflict. Please join us for his public talk in Belfast on Monday 28th September.